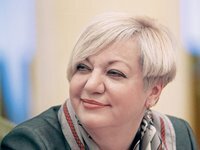 Former governor of the National Bank of Ukraine (NBU) Valeriya Gontareva has headed the supervisory board of the MEDIKIT medical communication platform, Director of Medikit LLC Ruslan Kravets said on Facebook. "On September 11, Valeriya Gontareva obtained the formal status of head of the supervisory board of Medikit LLC," he wrote, adding that their joint work on the project has been going on for half a year already. "Medikit is creating an ecosystem of medical interaction between patients, doctors and all other participants in the medical market. We have ambitious plans, the first version of the platform will be presented in November," Kravets added. As reported, Medikit LLC, founded by Valeriya Gontareva's son Anton Gontarev, as well as Svitlana Kyrychenko, intends to launch a medical communication platform in November 2018. According to information on the MEDIKIT project's website, it is aimed at ensuring effective communication, standardization of key processes, as well as accumulation and systematization of information in one place. The first stage of the MEDIKIT ecosystem development is designed to solve the problems of key participants in the medical process - patients and doctors.